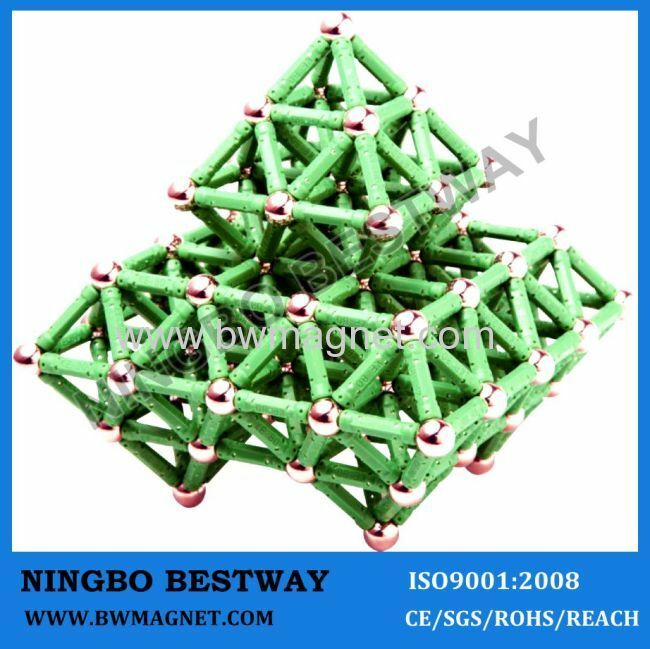 This is our new style magnet toys ,whcih is contains 60 pcs steel ball and 84 pcs magnetic sticks ,you can creat anything you wanted. . Magnetic magic stick is the new puzzle toys, alternative, novelty, fun, endless change, creativity, fun, imagine the ability to develop three-dimensional space. .
First, it can be creat various objects, like animals, aircraft, bicycle, etc. could develop the children's imagnation ability. 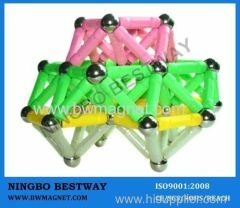 Fourth, can be used as teaching tools, with a strong sense of three-dimensional objects.